This was the key film in the Leeds International Film Festival’s short retrospective of films directed by Ingmar Bergman and set on his adopted home Island of Fårö. This seems to me not only the finest film ever made by Bergman but also one of the outstanding masterworks in World Cinema. It parallels other films that address their own medium of cinema, like Federico Fellini’s 8 ½ (Otto e Mezzo, 1963) and Chris Marker’s La Jetée, [a proposed title early in the project was Cinematography]. This is an intense character study involving two very fine actresses, Liv Ullman and Bibi Andersson. 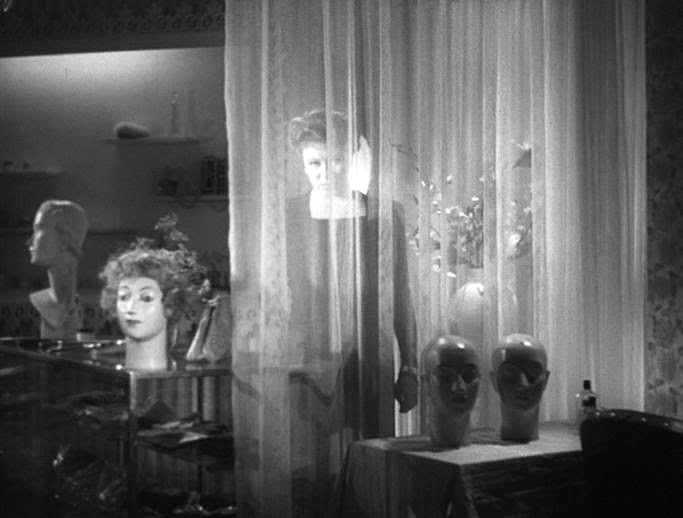 The film opens with an avant-garde montage of film – including the cinematic apparatus and apparently disconnected images: at least some of which do relate to the narrative that follows and some to other films by Bergman. Film as the subject re-appears near the middle of this work and again at the end with another montage which returns us to the cinematic apparatus on which the film relies. In between the narrative is presented in a more conventional style, which at the same time employs rigorous mise en scène, cinematography, sound design and editing. 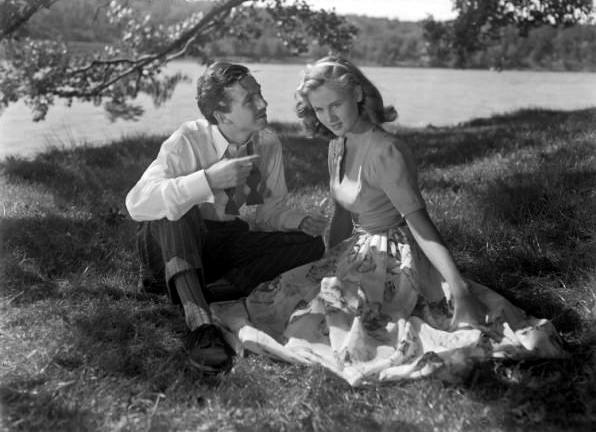 The film is graced by outstanding craft inputs from Bergman’s regular collaborators, Sven Nykvist, Ulla Ryghe, and P.O. Pettersson: and with more extracts from Bach on the soundtrack, [his Violin Concerto in E major]. There is also judicious accompanying music from Lars Johan Werle. And there is [once again] the influence of Strindberg. The film offers a tight focus on two women characters, Elisabet Vogler (Ullman) and Nurse Alma (Andersson). We also meet a doctor who specialises in mental or psychological illnesses and the Elisabet’s husband .And we hear in the dialogue references to several characters including Alma’s fiancée. Bibi Andersson dominates the narrative because we learn most about the characters through her dialogue. 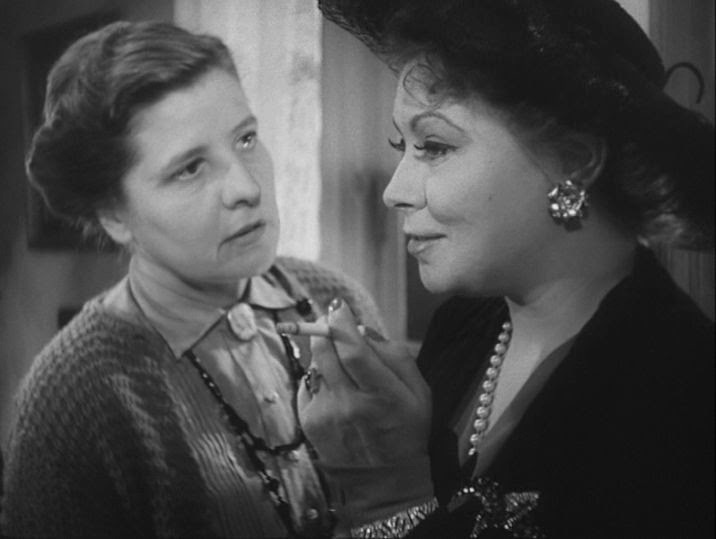 For much of the film Ullman’s character is silent. There is a marvellous moment when we [think that we] hear her speak: reminiscent of the imperceptible movement after continuous stasis in La Jetée. This is certainly a challenging film: a friend at the screening reckoned that one needed to see the film two or three times to fully comprehend it. It is also a richly complex film that pays the repeated viewings. This was my fifth or sixth screening of the film and I was still noticing aspects or noting possible meanings and references. We were fortunate to see the film in a good 35mm print: the cinematography benefits from the characteristic of the traditional medium. The Festival provides slips so audience members can vote on a scale of 1 to 5 – I ticked 5 on two slips and handed them in together. Martin, Karin, Minos and David. The film is set on the Island of Fårö. 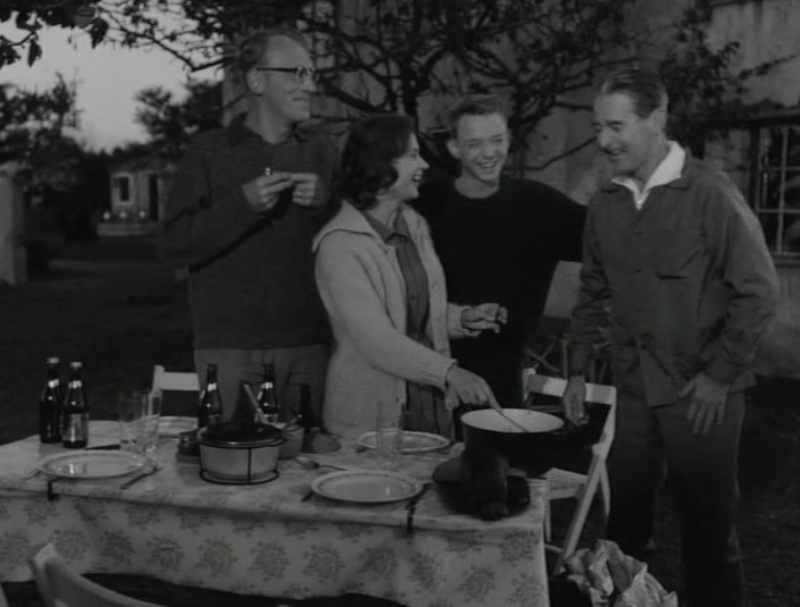 It involves four characters – a writer and father David (Gunnar Björnstrand), his daughter Karin (Harriet Andersson), her husband a university professor Martin (Max von Sydow), and David’s young son Minos (Lars Passgård). We also hear of two other characters, David’s dead wife and his ex-girl-friend. The action takes place over 24 hours, from evening to evening. The film opens as the four finish a swim in the sea. We learn that David has just returned from Switzerland where he was writing a novel. Karin recently left hospital where she was being treated for mental illness. They have supper and then Minos and Karin (with help from Martin) perform a short play for David. The play appears to have a purpose directed at David. Next day David and Martin leave the Island to buy necessities: their conversation and its filming are very revealing of the two men. Karin and Minos, talk, walk and then shelter in a wrecked boat in the rain. The crisis in the story follows. At the end of the film David talks to Minos as evening closes in. The final shot of the film is a large close-up of Minos in front of a window – behind him we can see the sun low over the horizon. The film then ends with a blank screen or on this occasion the logo of the Festival. All the performances are superb, but the film is dominated by Harriet Andersson’s Karin. This is a marvellously complex and moving performance. All the performances bring out the tensions, evasions, psychological wounds and character changes in the film. 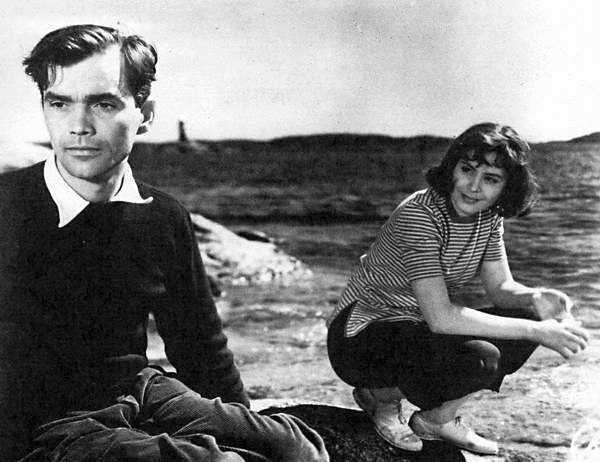 The setting of the Island is beautifully evoked by the superb cinematography of Sven Nykvist, ably supported by the editor Ulla Ryghe and the art director P A Lindgren. And the film makes limited but judicious use of Johan Sebastian Bach’s Violoncello Suite No 2. The light shimmers on the sea, and the changes from dusk to daylight and from light to shadow are exceptional. Fortunately the film was screened in 35mm – it would have need an above average transfer and at least 4K digital to do it justice. … films that are generally seen as addressing Bergman’s increasing disillusionment with the emotional coldness of his inherited Lutheran religion. What I wanted, most deeply, was to depict a case of religions hysteria. But I thought the film was not really about religion but spirituality, possibly in a humanist sense – rather in the manner found in the films of Carl Dreyer and Yasujiro Ozu. It is a powerful representation of the trials and difficulties of family relationships, albeit not a typical family. Like much of Bergman’s work it also relates the past to the present. I think viewers will find themselves considering the influence on Karin’s state of her father, husband and brother. The film is bleak but also offer lyrical moments. In the final sequence there is an ambiguity of the last light of day. And the abrupt ending leaves us to consider what we have seen and heard.